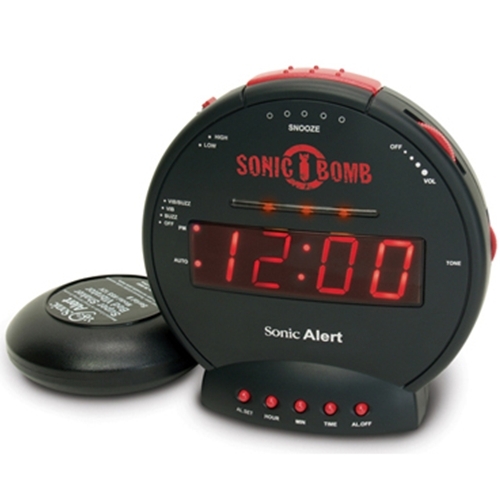 Sonic Bomb Alarm Clock SBB500SS from HealthyKin.com is for guys and gals of all ages who think they might not wake up in the morning – WRONG. At 113db, this alarm is sure to rattle your windows and force your eyes open. And if that doesn't put your feet on the floor, the pulsating alert lights and Super Shaker™ bed vibrating unit will.